Little Fox Music Box is an interactive sing along music app that illustrates and animates popular kids songs. It features “Old MacDonald,” “London Bridge,” and “Evening Song.” Each scene is filled with animals and objects to explore. It also has an area where you can make your own music using woodland creatures and kitchen gadgets. It will even provide you three different beats to create with. Little Fox Music Box is an aesthetically and aurally pleasing app. It’s child friendly and easy to use. The app features children singing three different songs. It allows you to turn off the singing and accompaniment and simply explore the scene. From a music therapist’s perspective, this is helpful so that the therapist can provide live music and additional prompts. The app unfortunately does not allow the music to simply be paused. So, if you begin “Old MacDonald” and want to prompt your child to “find the pig,” you are unable to stop the music while they search for the desired animal or object. Parents or therapists can easily use the interactive scenes to prompt educational concepts such as animals, colors, or even seasons. 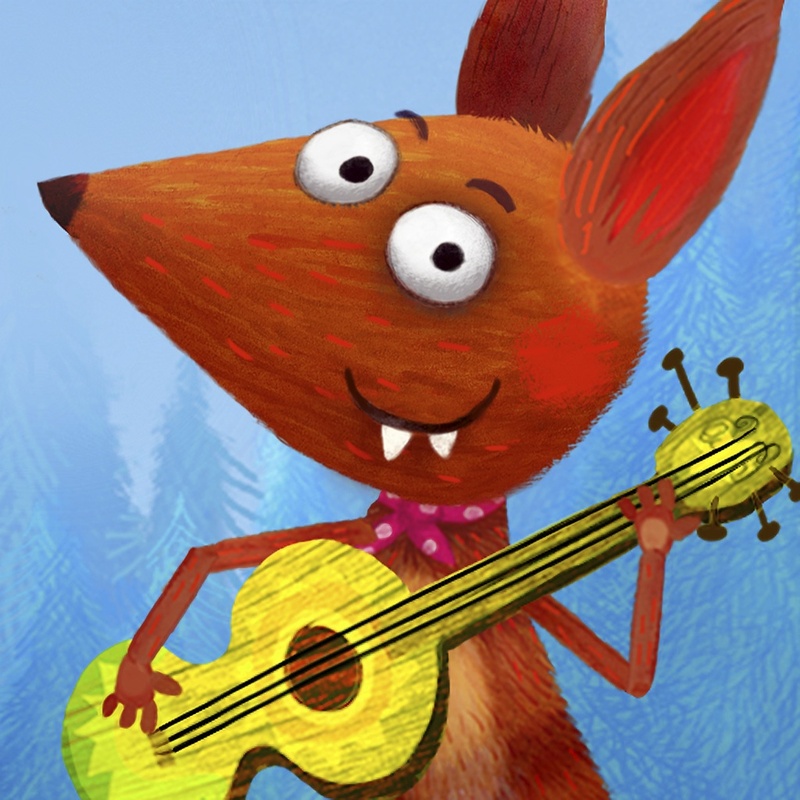 Another unique feature of the app is Little Fox’s music studio where kids can create their own music by interacting with various animals and objects throughout the Fox’s studio. • Has the option to turn the karaoke • The tempo of the songs might be fast for off or on. some kids. Click here to view and/or purchase Little Fox Music Box.